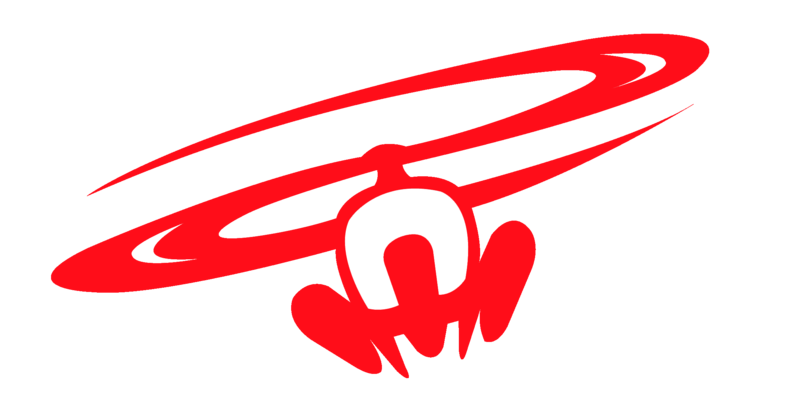 Only a couple hour drive from Calgary is a Heliskiing operation who embraces snowboarding clients with open arms – Purcell Heliskiing. This heli-boarding operation is by a family who has a long history in the industry dating back from heliskiing’s inception in Canada. The terrain is fantastic and our crew got a mix bag of cut blocks, alpine, tree riding, bumps, and pillow lines. Mikel Witlox our team rider at Heliboarding Canada is as keen to drop whatever we can throw at him – and with this little pillow section that could be viewed over lunch at their mountain side cabin – Mikel was stoked x 10. Commit Snow and Skates owner Adam Laurin gave the goods a once over test as well. Follow our Heliboarding Instagram for more insane footy from Purcell Heliboarding. 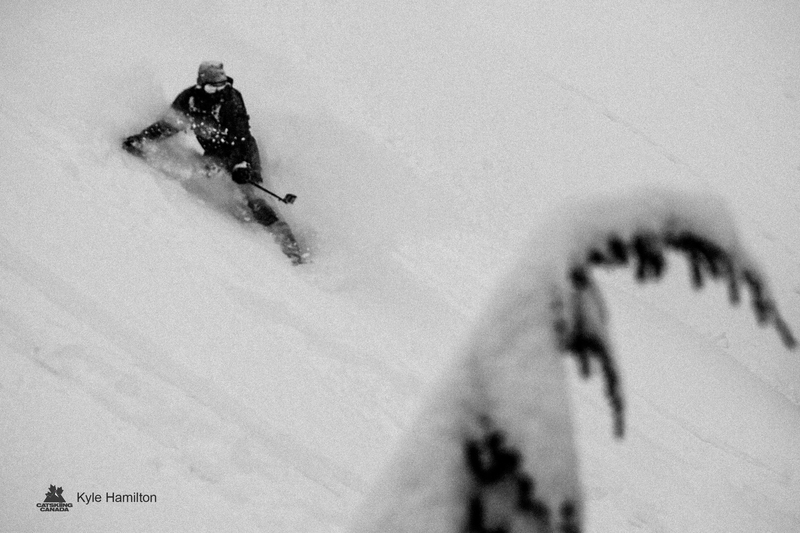 Heliboarding culture always intersects with skiing culture – especially heliskiing. Our guide Jeff ski’s and snowboards and on our second day of guides us on a snowboard. This to us is just a demonstration of balance that we felt with the family at Purcell they pay homage to their roots and are innovating to the future across both generations. Snowboarding at Mustang Powder Catskiing in Revelstoke B.C. 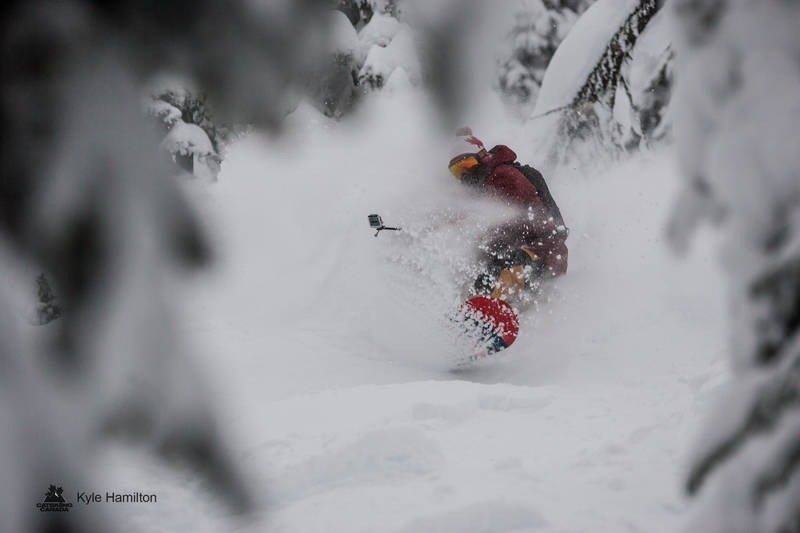 On location with Catskiing Canada at Mustang Powder nestled in Revelstoke’s backcountry terrain in B.C. Canada. Known for it amazing remote mountain lodge, over 30’000 acres of terrain, 443 km of snow road, incredible gourmet food, an extensive BC wine list, and a hot-tub under the stars. Heliboarding’s Fit for a King trip! This place is a one of a kind operation. The snow is back…. 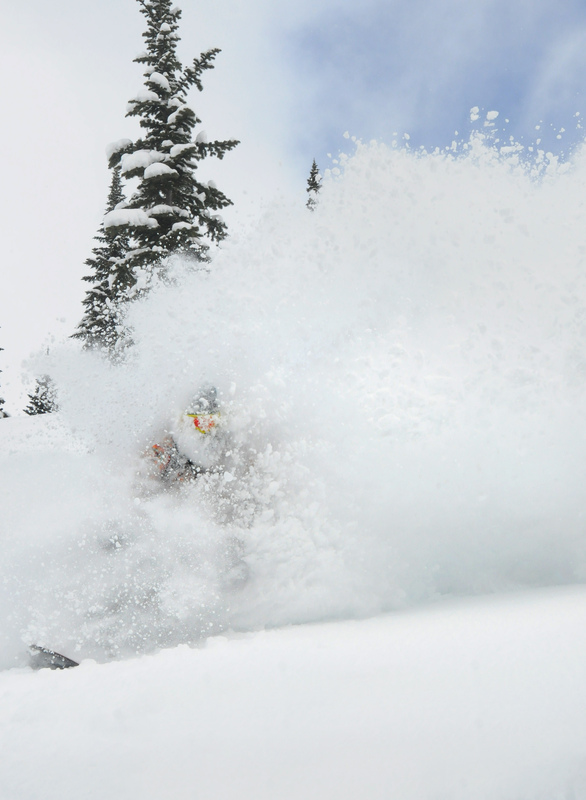 a year ago we were getting the exact same conditions..
Powder bombing deep deep faceshots filming at Island Lake Lodge. The snow is flying and the pow is back.. Big time!! !